A Diamond Select Release! 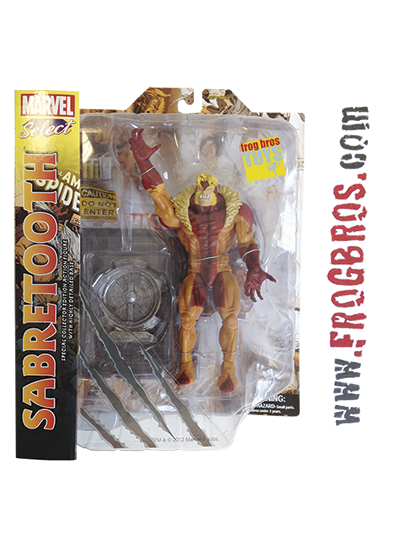 Presenting a new take on a classic villain, this seven-inch action figure release features Wolverine's most hated enemy - Sabretooth! From the pages of Marvel Comics history, Sabretooth is depicted with his classic costume and features a deluxe base and multiple points of articulation. Designed by Dig Deep Entertainment and sculpted by Gentle Giant, this is one heavy-hitting mutant you don't want to miss!